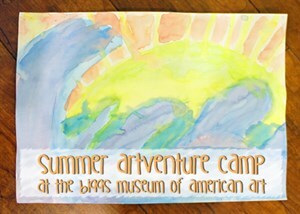 Young artists, ages 6 to 9, can spend a week in July at art camps designed to inspire creativity. Each camp will be led by museum staff in the Child HELP Foundation Gallery Monday through Friday from 9 a.m. until 12 p.m. Children will explore the museum during these camps and discover many different types and styles of art such as painting, sculpture and drawing. Please make sure children wear old clothing and bring a snack each day. If your camper is a future ecologist, botanist, or zoologist, then this session is for them. During this week, campers will learn about the environment and create different eco-centric crafts!